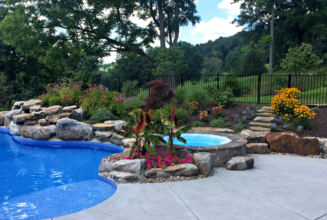 Residential Landscaping | Ponzani Landscaping Co. The Ponzani Landscape Co. offers a comprehensive range of landscape services to ensure your landscape stays healthy year round. Homeowners to Landowners we can create a contract with weekly, bi-weekly, monthly, or even limited -time services to a comprehensive landscape management plan lasting from the beginning of the year through the end. Our professional service and knowledgeable expertise will always maximize the beauty of your landscape.